Hello, dear Bitcoin lovers and most to Bitcoin miner! Here today I want to seriously tell you guys, you should be very careful with your PC. It is now becoming very risky to be connected to the internet to those whose confidential data are online. More of 400,000 personal computers/PC have been attacked in a large-scale attempt to distribute cryptocurrency mining software that is malware. You should be very careful the way you install all kinds of downloadable Bitcoin miner. Some are not real. So call hackers used sophisticated trojans to inject PCs or Computers this happened mostly in Russia Country, but also in Turkey, Ukraine, and some other Countries. The coordinated assault lasted more than 12 hours. 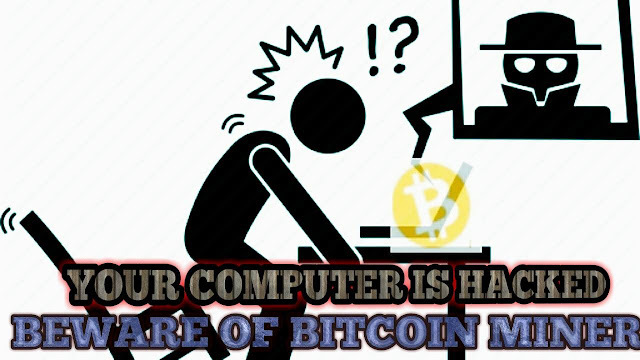 The most problem here is that the complex malicious software [Bitcoin minners] has been trying to overcome antivirus defenses for more than 12 hours on March 6. According to the Microsoft report, the mostly its attacked computers or PC, over 73%, were located in Russia, which Turkey happens to be the second with 18% and Ukraine 4%. Other Countries have also been affected. The shocking news is that "Mining Malware Target Over 400,000 Computers" This happened mostly based and cloud-powered machine learning models included in Windows Defender detected the trojan perform the attack in its early stage, according to the researchers said. The threat was identified by the antivirus program, which started blocking further attempts within a minutes. According to the report of Microsoft which claims that computer running the following Windows 10, 8.1, and Windows 7 should install Windows Defender and updates the Window Defender or to install Microsoft Security Essentials this will help to automatically protect your Pc/Computer to inject or affected with this Malware. In addition, According to Bleeping Computers, the other antivirus programs have most likely detected the threat as well. Please share this with friends to stay secure.